This Summer Camp is different than the rest! 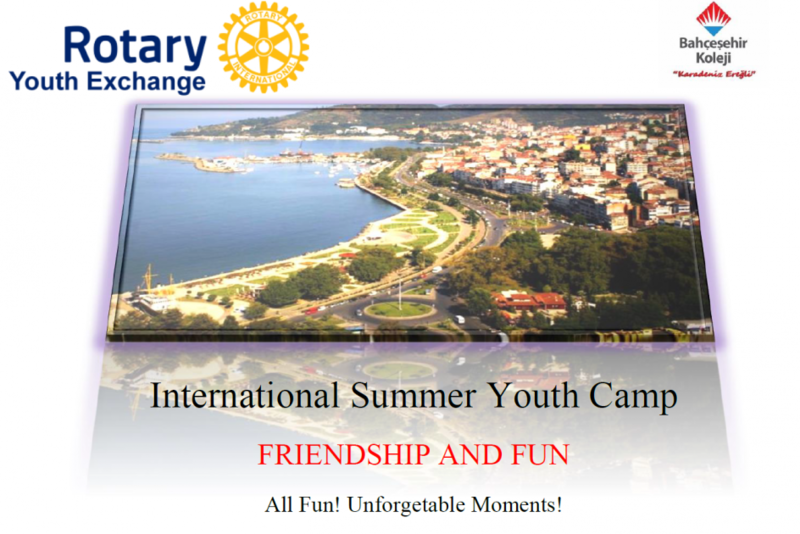 2018 Summer Camp will be held at Bahcesehir Karadenız Ereğli Campus, there will be various activities, including workshops, sports, tournaments, cultural and historical daily trips, music, entertainment and many other surprises. Participants from different countries will camp in campus and enjoy nature together. 20 people 10 boys and 10 girls from different countries. 19th June - 1st July 2018. Note 2: All participants must wait out front door of airport till our officers who are showing “Kdz.Ereğli Rotary” signboards. - be friendly and tolerant. - be in good physıcal health. - have a digital camera. - have swimming and training equipment.